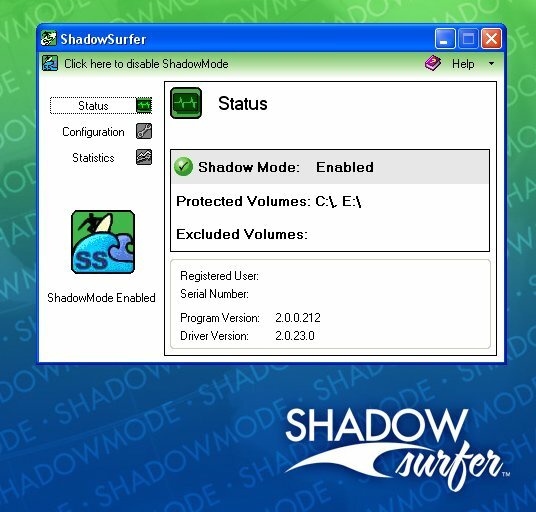 ShadowStor's unique approach allows you to activate ShadowMode which takes an exact snapshot of your PC and runs a virtual twin. To the end user, your PC runs as it always has, allowing you to run applications, games or surf the internet. You can start a ShadowMode session, install trialware, games or surf the internet and discard those changes at the end of your session, keeping your PC in a clean and optimal state at all times. Surf the internet without having to clean up your tracks after the fact. There is nothing to clean up. Use the internet freely in total privacy and security. The ShadowStor approach eliminates these problems before they ever get to your PC. Our unique approach provides "Disaster Prevention", eliminating security, data protection and disaster recovery problems before they occur. No need to troubleshoot and and try and figure out why you are getting popups ads, why your PC is running slow, why you can't boot your system. Why recover from a PC disaster when you can prevent it?